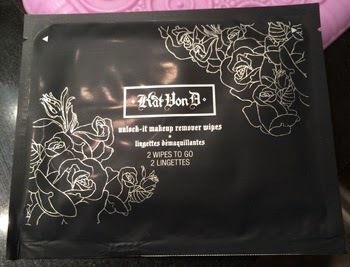 THE SKINNY: After using Kat Von D Unlock-It Makeup Remover Wipes, I could not really figure out how this product was really any different from all the other makeup remover wipe options. They removed the makeup pretty well. (Mascara was still a little tricky.) They did not smell bad or cause any trouble. But they weren't really outstanding either. This product was very average. But has a bigger than average price tag. At 50 cents per wipe, I think I will stick to something like Say Yes to Cucumbers, which are a fraction of the price and quite refreshing. CHECK IT OUT: You can find these wipes at Sephora.